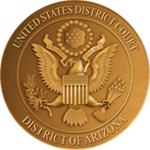 Beginning on May 1, 2017, the District of Arizona will be participating in a three-year pilot project, known as the “Mandatory Initial Discovery Pilot Project,” which will study whether requiring parties in civil cases to respond to a series of standard discovery requests before undertaking other discovery will reduce the cost and delay of civil litigation. Only cases filed on or after May 1, 2017, are subject to the pilot. The pilot project was proposed by the Advisory Committee on the Federal Rules of Civil Procedure, has been approved by the Judicial Conference of the United States, and is being implemented in several districts. The Court has adopted General Order 17-08 explaining the parties’ obligations under the pilot project and setting forth the initial discovery requests to which the parties must respond. All civil cases, except those categories of cases exempted by the General Order, are included in the pilot project and subject to the General Order. At the Rule 26(f) conference, parties must discuss the mandatory initial discovery listed in the General Order and describe their discussions (including limitations invoked and disputes) in their Rule 26(f) report. Parties must provide information relevant to the parties’ claims and defenses, whether favorable or unfavorable, and regardless of whether they intend to use the information in presenting their claims and defenses. Parties must serve their initial discovery responses by the deadlines described in the General Order unless modified by the Court. Parties must address certain issues relating to Electronically Stored Information (ESI) and produce ESI by the deadline set in the General Order unless modified by the Court. Pilot judges should hold initial case management conferences within the time set in Rule 16(b)(2) and discuss the parties’ compliance with the mandatory discovery obligations.